Manmarziyaan: Vicky Kaushal, Taapsee Pannu and Abhishek Bachchan-starrer Manmarziyaan is all set to release this weekend on September 14. Before the film hits the screens, Bollywood megastar Amitabh Bachchan sent a handwritten note along with a bouquet to Vicky and Taapsee respectively for their exceptional performance in the film. After the duo received the token of love, they shared their excitement and sheer joy on social media. Anurag Kashyap’s film Manmarziyaan starring Vicky Kaushal, Taapsee Pannu and Abhishek Bachchan is making all the right buzz as it gears to hit the screens this weekend, i.e September 14. After raising excitement among the audience with an intriguing trailer and foot-tapping songs of the film, the cast of Manmarziyan received a pleasant surprise from none other than Bollywood megastar Amitabh Bachchan. Impressed by the performances of Vicky and Taapsee, Big B sent them a handwritten note and a bouquet of flowers, after which the duo could not contain their excitement. 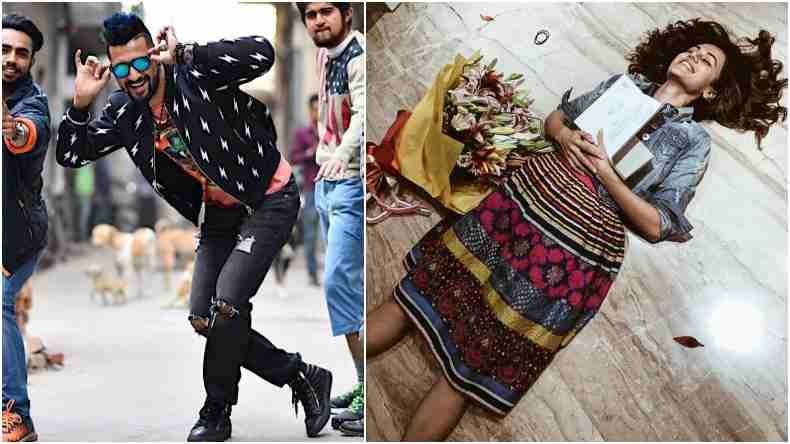 Dressed in a colourful dress paired with a denim jacket, Taapsee, who can be seen lying on the floor next to the bouquet and holding his hand-written letter, posted a happy photo on her official Instagram account and stated that by receiving this letter, she has achieved a milestone. Sharing a photo of his letter on Instagram, Vicky stated that every actor waits for this letter and the bouquet. Thanking the megastar for the appreciation, the actor stated that it means the world to him. In the letter, Big B has noted that he has always admired Vicky’s performance but his versatility in the film Manmarziyaan is truly exceptional. After Manmarziyan, Bollywood actor Vicky Kaushal will be seen in films like Uri and Takht while Taapsee Pannu, who was last seen in the film Mulk, will be seen sharing the screen with Amitabh Bachchan in the film Badla. Meanwhile, Abhishek Bachchan has been roped in for the film Gulab Jamun with his real-life partner Aishwarya Rai Bachchan.